In previous post we had seen about downloading of apps to your mobile from Google play app store. Here i am giving information about downloading of android apps from Google play to directly to system. This is not official process to download, and we are just giving for information purpose. Please check the Google play terms and conditions. We required to download a software for this specific purpose. 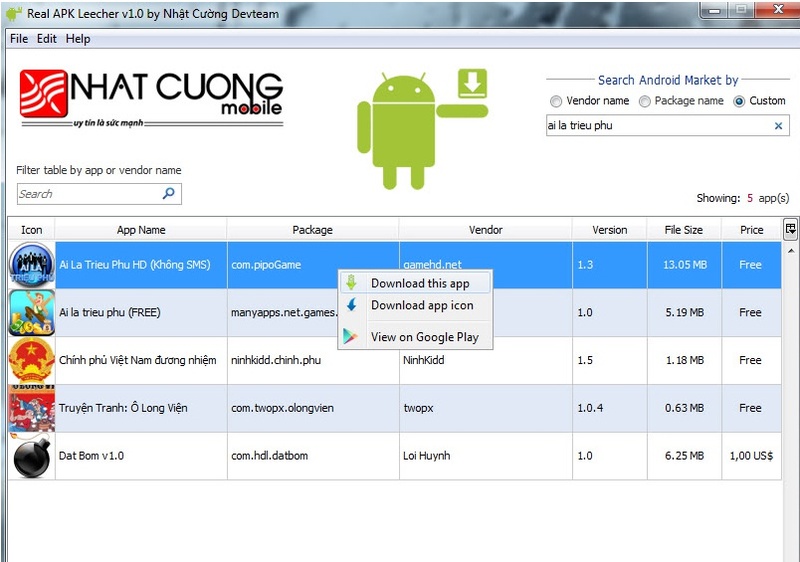 This simple software called "Real APK Leecher" was developed by codeimba website. 1. Download the software from media fire . 5. 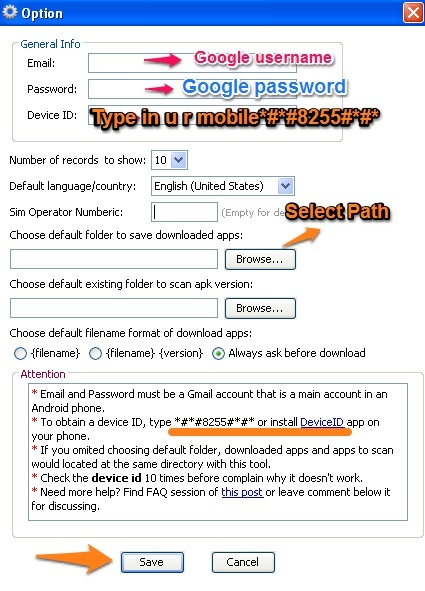 Enter your Google password and Device ID. Device ID:android-20013fea6bcc820c. you need to enter 20013fea6bcc820c part from that id. 7. After that you will see a window to download apps from directly to your computer from google play. Note: Use this at your own risk. I wont take any responsibility to your account or for any issue.As already told check terms and conditions from Google. This is just for information purpose only.